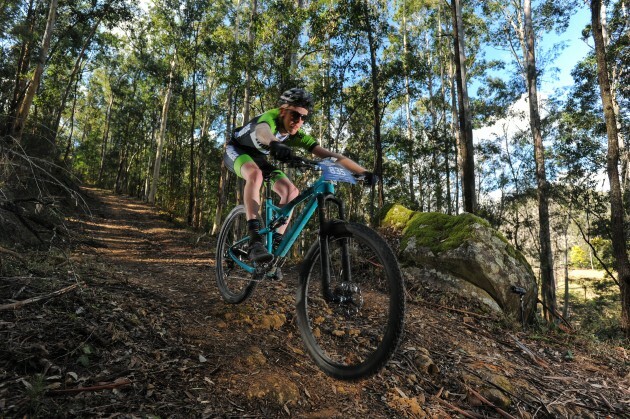 With just two months to go before the Convict 100, now is the time to start hitting the local trails and putting some k’s into the legs before it’s too late. 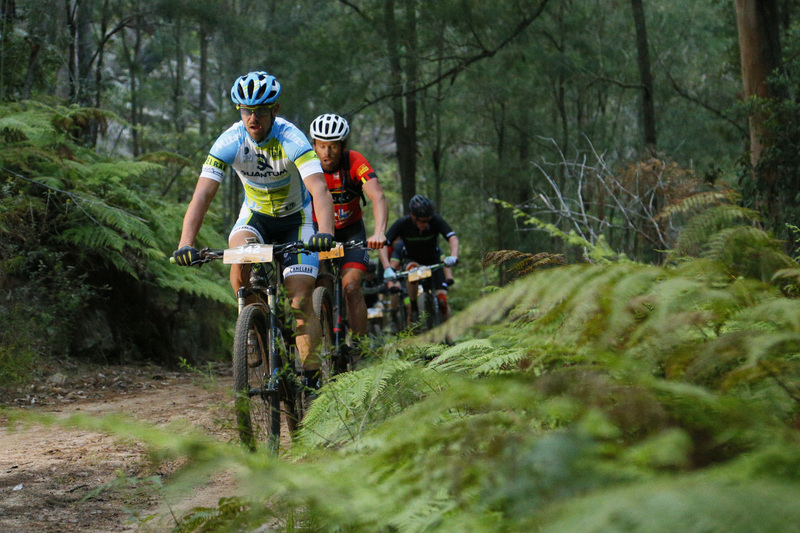 If you’re lining up for your umpteenth crack at the full 100km, preparing to smash out the 68km course with gusto or feeling the butterflies in the stomach as you face your first Convict 100 with a 44km entry now is when you need to put in the hard yards. It will be worth it come the start of May! 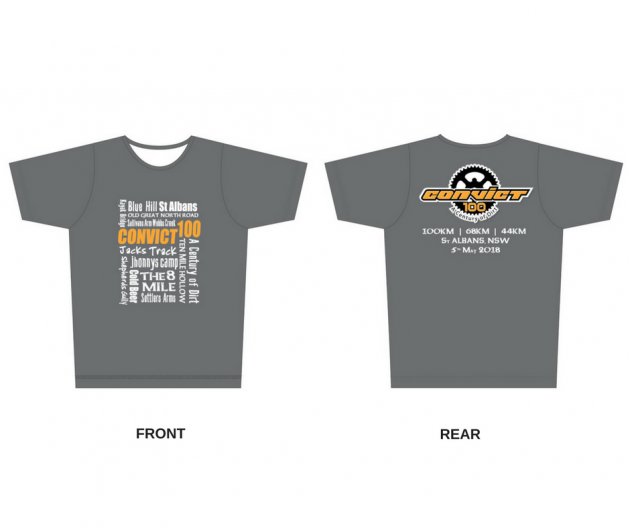 To commemorate your achievements on the legendary tracks around St Albans you are going to need some of our sweet merchandise so you can really look ‘pro’ on your local trails. 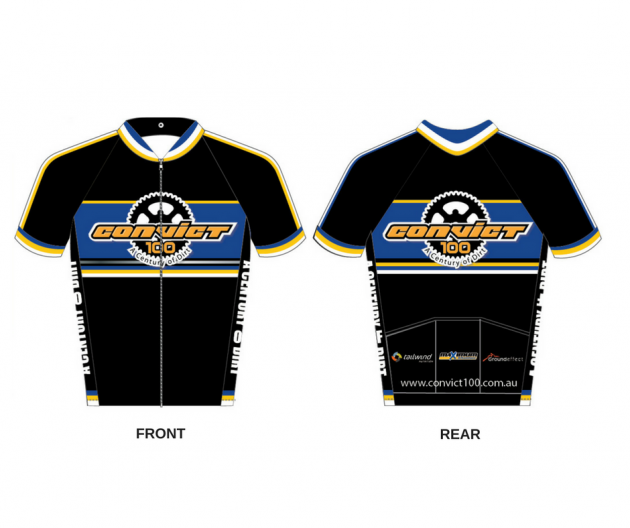 With some funky designs and high quality materials the Convict 100 Event Jersey and Event T-Shirt will be the cause of many a jealous glance at the local coffee shop after your morning ride. The official Convict 100 race jersey is now available through our online entry system when entering for the event, or you can add one to your existing entry. It has a full front zip and handy back pockets for your phone and gels. The jersey is $80 and pre-ordering is essential to avoid missing out. These short sleeve t-shirts are made of 100% cotton produced under strict environmental conditions meaning they feature the softer feel we all love. Featuring a funky new design that will turn heads whatever the setting and available on pre-order, they are $40. Standard price entries are still available but not for much longer so now is the time to sign up and save yourself $15 on your entry. What are you waiting for?